Wow…, I thougt it was one of my bikes!!! But no, it isn’t. Mine is not a fixie. A nice bike, indeed! Oh, nope, i’m afraid it is not a multicolour bike, or not in the same way. 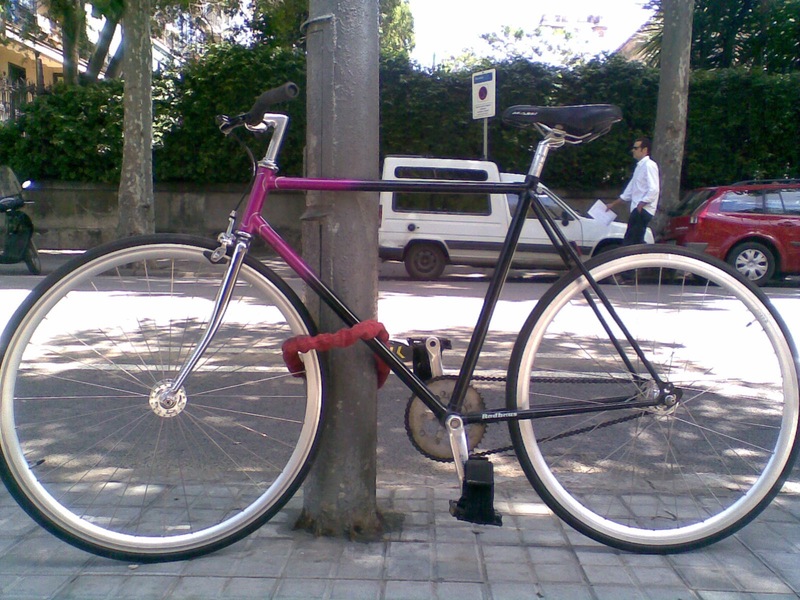 My bike (one of them) is an old racing bike with a new handelbar (more confortable, as the one in the picture below), etc. I’ll try to get a picture of it.